And God (our heavenly father) is beaming too with joy to see His children returned safely from their adventures on Earth. With wisdom and experience now changed into the gold of pure wise innocence. I want to go to that heaven. Psst! Hey buddy! Wanna buy a book? You wouldn’t want my North Beach beatnik scum pals to have to come lean on you just when you’re enjoying your 26th Lucky Lager of the afternoon looking out the Coffee Gallery window at the hazy crazy scene on Upper Grant Ave., would you? You see things my way and there ain’t gonna be any trouble. And besides, the book is good. You should see the reviews. It’s got beat chicks in it and wild cross country runs to Mexico and New York City and you’ll laugh and cry and wish you were there too. 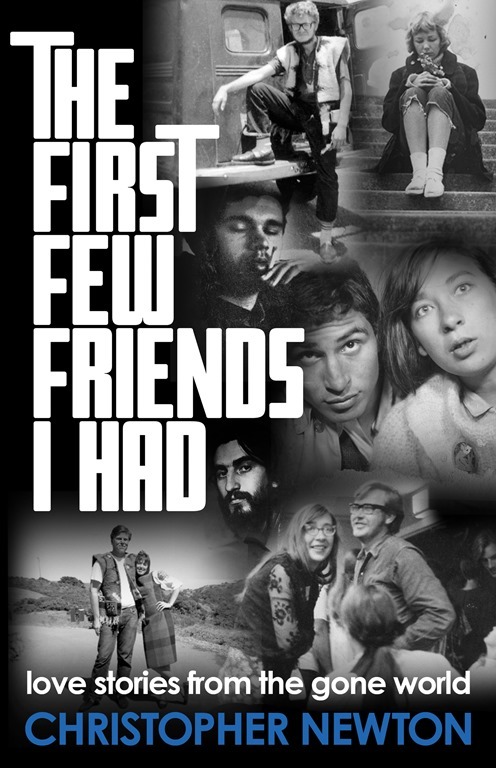 The First Few Friends I Had, get it? Just click at the top of the page there where it says “Buy My Book on Amazon” It says that for a reason, see? You won’t be sorry, pal. In fact, there might be a six pack of Lucky Lager in it for you. Or maybe not. Good luck! When I knocked off this little piece back in 2008, I never imagined it would grow such long legs that it would still be striding along in 2014. I can’t remember a week that’s gone by since without a note from someone who, like me, remembers Signe with admiration and honor. She had a short run, but an unforgettable one. This is a rock star? You’ve got to be kidding! She looks like a normal person. Shouldn’t a mid-sixties rocker have big hair like Dusty Springfield? Or long bangs like Cher? Rock stars aren’t supposed to wear pigtails, especially with little ribbons like Petunia Pig. And her teeth aren’t even capped. Girl rock stars are supposed to look glamorous, not like somebody’s sweet cousin from Astoria. 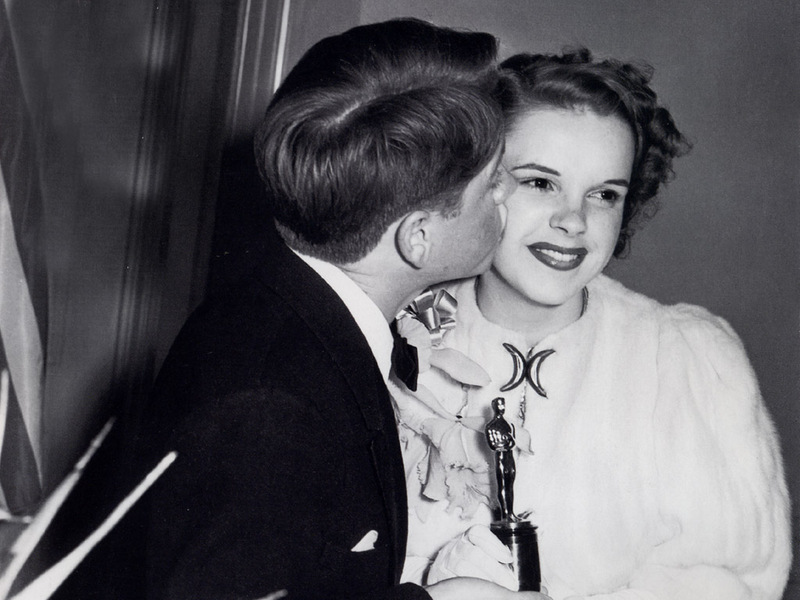 Signe Anderson had a couple of attributes, though, that sort of worked. First, she was a terrific singer. She could raise blisters on her microphone while sending chills down your spine. Second, we hippies loved her. She was real. She was one of us except she could sing like Aretha. Well, maybe not like Aretha – but she could sing really good. After a year or so with the Jefferson Airplane, Signe got pregnant, but she was married, so it didn’t count as shocking rock star behavior. She sang right through her pregnancy up there on stage at the Fillmore, getting a little bigger each week, still belting it out out with her finger in her ear. She was breaking all the rock star rules, but not in the approved shocking way. We could hardly wait to see what would happen next. What happened was, after Signe had her baby, she decided to move back home to Oregon. 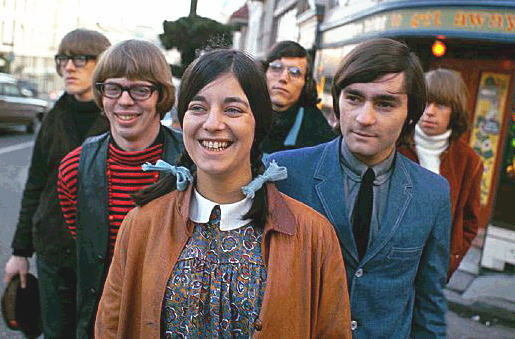 Suddenly, she was gone, leaving behind only that one so-so album, The Jefferson Airplane Takes Off. Then the Jefferson Airplane stole equally talented Grace Slick from The Great Society, and really took off for fame and fortune. But I never could warm up to Grace, not that she cares. I can’t fault her fabulous singing or her appropriate rock star looks and shocking rock star behavior – it’s just that she wasn’t Signe, and Signe was the cat’s meow. Signe had a rough road in her later life. 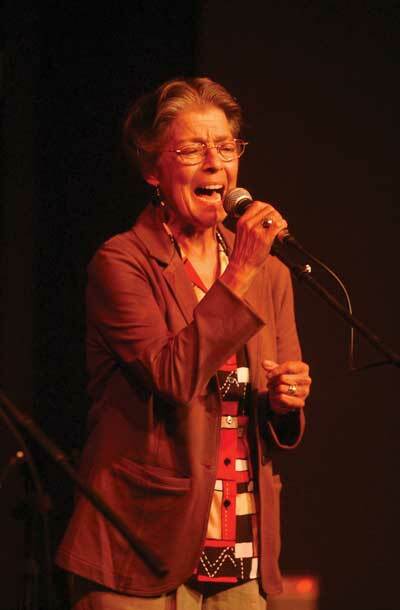 In the early seventies, she was diagnosed with uterine, cervical, and bladder cancer. She has spent much of her adult life trying to beat them, plus other other physical problems that cropped up along the way, including an eighties bout with breast cancer. The thing is, she’s still out there fighting…and singing. 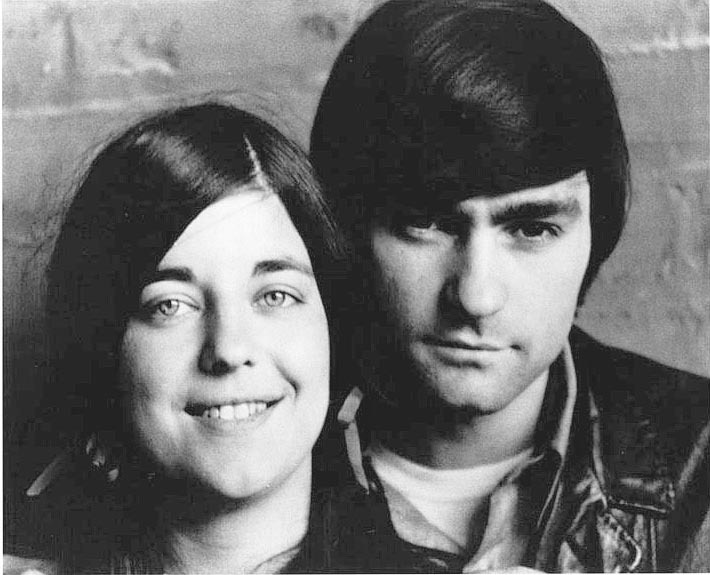 Her old band mate Marty Balin was up to see her in August and together they played a benefit billed as the Jefferson Airplane Family Reunion. Fans came all the way from San Francisco for the event. If I had known about it, I might have dropped in myself. Happy 67th Birthday, Signe. You’re a gas. What kind of guy produces two daughters that changed the world like Joanie and Mimi Baez did? Daughter number three, Pauline, managed to stay out of the spotlight but she’s got to be a world-changer too. 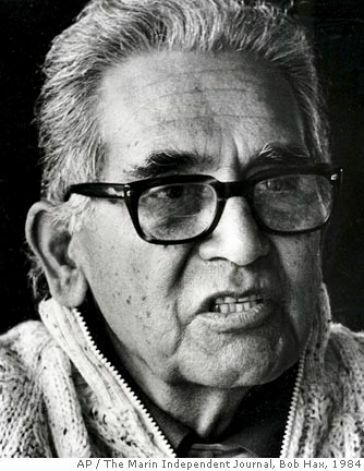 Albert Baez made his own impact on the world, although perhaps in a more soft-spoken way. There was something thankfully off-kilter about him. First, in spite of his bow tie and Ivy League looks, he was Mexican. At least his parents were – they moved from Puebla to Brooklyn when he was a kid and Albert grew up there. His own Dad had left the Catholic church to become a Methodist minister. When did you last meet a Mexican Methodist minister? The whole family spent their lives exploding stereotypes. Al went to Stanford, got his Ph.D there and by 1948 had co-invented a microscope that used X-rays to study living cells. In the early fifties, when his pals were going to work for the nuclear weapons establishment, he took his family to Baghdad to build a physics laboratory at the university there. Then he went to work for UNESCO, teaching science all over the world. By the time they dropped back down on the Peninsula, where Professor Al took a position at Stanford, Joanie was nearly twelve. the purchase of a ukulele. I’m just about Joan’s age and I went to high school on the Peninsula same as she did, and I can confirm it was no place to be a dark skinned beauty from a high caste family. It’s not that prejudice was rampant. Our 1958 student body president was a black guy named Bill Pettis and we were was damned proud of him – or maybe proud of how liberal we were. But he was another anomaly – like Joan. I don’t remember Bill hanging out at any of the rich kids’ parties, although maybe he did. In 1958, Professor Al took a job at MIT and hauled the family to Boston. He was a music lover, and one night he took his 17 year old daughter down to a Cambridge coffee house called Club 47 to see the new fad – young college folksingers tellin’ about Woody Guthrie, tellin’ about the Carter Family, singing about those young maidens who got murdered by their lovers (who were always named Willie) and only the pretty birdies were left to mourn. Within a year, Joanie was up there too. As longtime readers of this blog know, I care a lot about Joanie Baez, and I want to know more about the family that produced her. It’s not just her music, her glorious voice which lifted me from the dark sorrow of my youth over and over and over. Not just her spirit, but her courage. She stood on the lines and got busted just like the other demonstrators. More than once I saw Joan appear out of the night with her acoustic guitar and sing to encourage protesters on the line like me. She wasn’t just an entertainer, know what I mean? She stood for something. I want to stand for something too. Maybe she’s a skunk in person, how should I know? But I will give her honor as long as I write this blog. My Saint Joan. No irony intended. What a great family. What a great Dad. May God bless you, Dr. Baez, and welcome you into his Kingdom with rejoicing. R.I.P. Albert, a personal reminiscence from a science blogger who spent time with him in the nineties. Noted scientist was father of Joan Baez and Mimi Farina. Obit from Dr. Baez’s hometown paper, the Marin Independent Journal. And, of course, Joanie’s own website. Not to mention the Pondering Pig’s various little essays on the dear girl. Available by clicking the appropriate tags. “The era that Mr. Newton writes of, has piqued my interest for years. There has been much written about the Beats as well as the Hippies, in San Francisco and environs, but not of the transition between the two. I nearly swallowed the book whole, and have gone back to re-read it, in order to really taste as well as digest it. “The experience of riding along with Christopher and his friends, as they began to explore their high school world in the in the late 50’s, with all of the emotional changes that teens naturally go through was delightful. The weaving of the love stories throughout the book, while causing some of the painful moments, had also the leavening effect on some of the very painful times that Christopher and friends lived through. 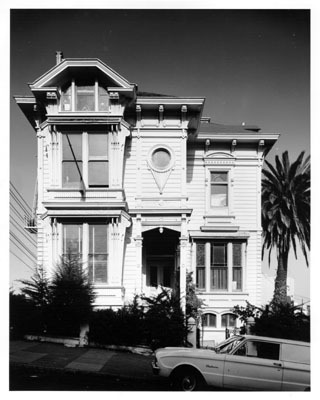 Sometime in the spring or summer of 1964, Rodney Albin’s uncle acquired a twenty-two room Victorian boarding house on the corner of Page and Broderick Streets in San Francisco’s Haight-Ashbury district. The place had seen better days. Built in the 1880s by the owner of a high-toned downtown haberdashery, it had all the modern 1888 conveniences – speaking tubes, a doorbell that rang on each floor, and gas lighting sconces on the walls for when the electricity went out. 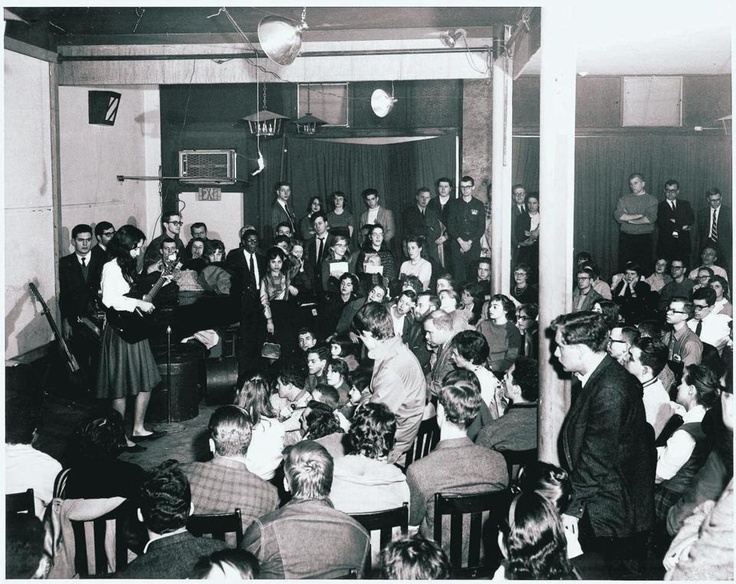 Its pearl, though, was in the basement: a full-sized ballroom with a stage in one alcove. The entire room was lined with glowing virgin redwood panels. But in the 1940s, 1090 Page Street was downscaled from a mansion to a boarding house. Life Magazine mentioned it in a 1961 story titled “The Irish in America.” It featured a full-page photo of thirty ‘typical Irish’ working stiffs and Mrs. Minton, their landlady, all leaning out the windows of 1090 Page waving madly. For Rodney’s uncle, the building was strictly a business investment. He was planning to tear it down and replace it with federally funded senior housing. But the deal was bogged down in Washington somewhere, so Rodney approached him – he knew a way his uncle could make some money on the place while he waited to finalize the deal. Why not rent rooms to San Francisco State students? Why, it happened that Rodney himself was a State student. With his connections he could easily fill the place with the most respectable type of student, earnest and studious. Rodney guaranteed him $600 a month, and was soon installed as landlord of what would become possibly the most renowned proto-hippie/scruffy student pad in San Francisco’s short history. By fall, the place was jumping. Since rooms began at $15 a month, it was affordable, to say the least. That was part of the fun of hanging out with Rodney: He would spout that stuff out continually. I wonder where Rodney was. He may have been playing his banjo for musical accompaniment. More likely, he wasn’t there. As the landlord, he was supposed to look askance at these irregular and potentially destructive activities. It’s funny how freaks hated television in those days except, maybe, the Smothers Brothers. 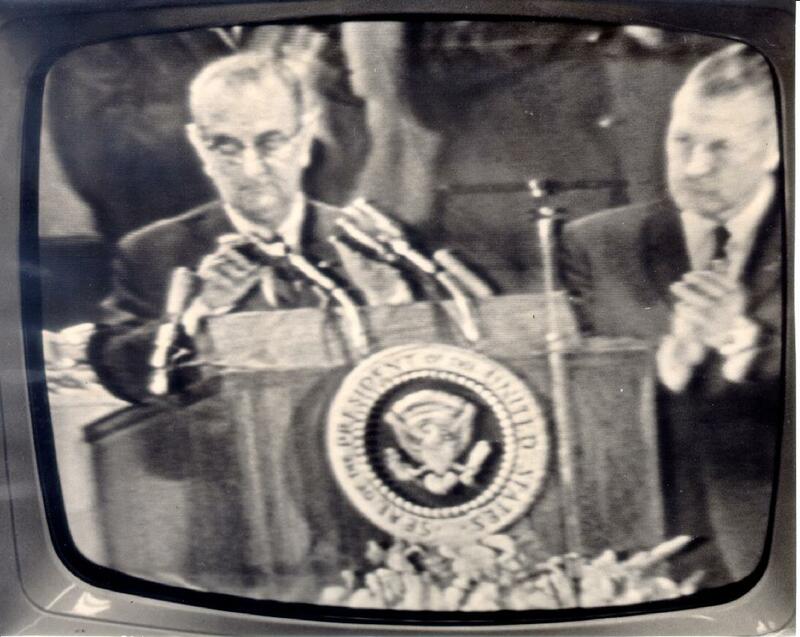 Television was the insidious voice of the enemy whispering to America what to buy next. Good riddance! 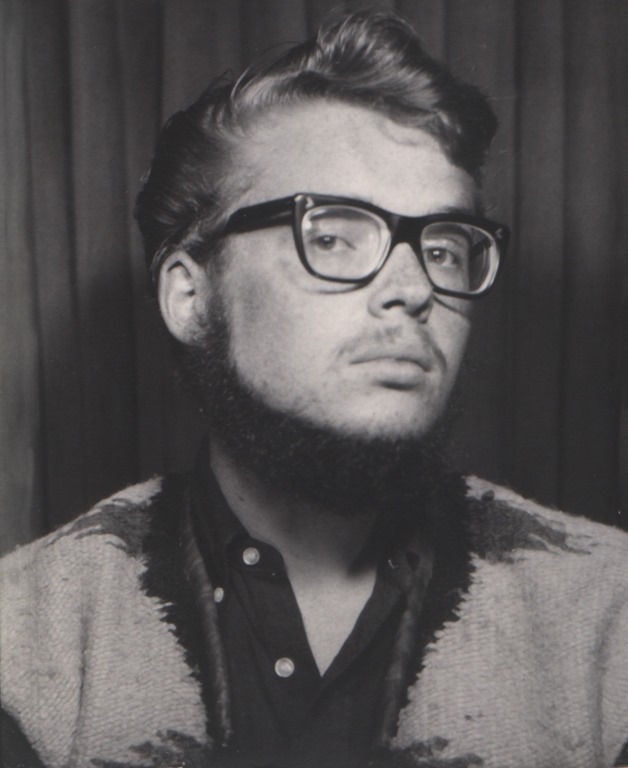 Rodney, to keep the house full, began renting to people from the local hipster community as well as students. For instance, there was George Shea. George was an actor. One afternoon, he taped up a poster in the kitchen advertising “Social Realism Tonight — in The Ballroom!” He was working up a one man production of Clifford Odet’s 1930s play Waiting For Lefty. The play, about a taxi drivers’ strike, required actors in the audience to shout out questions and rude remarks to the actors onstage. Since this was a one man show, George had to portray all the characters on stage, then quick hop off the alcove into the ten or fifteen people who’d come down to see the fun, scream an obscenity, then rush back onstage to answer himself. It was a memorable performance, but George’s true fame came a little later. One morning, George and his girl friend Marilyn woke up bored. So they decided to rob a bank. What the world needed now, clearly, was an Art robbery, a Dada robbery, a Happening robbery. They planned it over a nice cup of Folger’s Instant, then strolled down Divisadero Street to the local Bank of America branch. They had the foresight to scrawl a note that read “Put the money in a bag.” They walked into the bank, waited in line, and when they got to the window, shoved the note through. Of course, they didn’t think they’d actually need a bag. They had other, more interesting plans. Unfortunately though, we’ll never know what those plans were. The branch had endured a spate of robberies lately, and this morning the teller was a cop. He took one look at the note and pulled his gun. After a couple days in jail, Marilyn’s family paid their bail, hired a lawyer, and eventually got the charge against them reduced to malicious mischief. The story ends even more sadly: the Examiner ran a front page story about the robbery – and spelled George’s name wrong. You just don’t do that to an actor. Then there was Jones. Jones was a pork pie hatted cool guy who lived in one of the basement rooms off the ballroom. He was older, in his thirties, had fought in Korea, smoked a lot of dope, and, memorably, Jones was a ping pong shark. He never lost! He could have been a champion if they’d had Olympic table tennis in 1965. Then, if the unsuspecting resident gave in, Jones would ram ball after ball down his throat. After a while, everybody knew Jones was invincible. But somehow he would manage to wheedle them into one more game. What did it feel like to be a vet in your thirties surrounded by kids from an entirely different background? Big Brother and The Holding Company’s Peter Albin lived at 1090 Page in Jones’ time. He told me Jones was a kind of big brother himself to the younger, less experienced kids. He taught them how to not get mugged when they were out on the streets late. How not to get rousted when they were holding. How not to get rousted at all if possible. We needed guys like Jones. We didn’t all grow up on the mean outskirts of the Fillmore District, but now we were there. Next door to Jones lived a big girl from Eureka. She found a good way to make a living but she wouldn’t tell anybody what it was. Arlene (we’ll call her) would eat dinner in the ballroom with everybody else, then put on a nice dress, say “Well, I’ll see you guys later…” and head out. Where did she go? It was a subject that entertained people for weeks until one night she came back to the house in tears. She’d been busted! For hooking! She had to pay a fine. Turned out crime paid, but it was against the law. Who knew? That was the end of her prostitution career. 1090, in spite of contemporary rumors, was never a crash pad. Street people found snoozing in the bathtub were shown the door, forcefully if necessary. One morning Peter Albin got up and headed for the bathroom. There he found a scuzzy-looking stranger sleeping in the bath. As if that clinched the deal. Somehow Ginsberg had gotten the idea 1090 was open housing for poets and street people who came his way and was sending them to 1090 find a snoozing corner. It probably was quite a helpful stratagem for Allen, but it completely ignored the facts. Bathtub sleeping accommodations were not available at 1090 for complete strangers. Part of the issue, aside from the fact they might be creeps, was – Rodney had to come up with $600 every month. Besides freeloaders, from time to time he found himself in conflict with deadbeats. Peter told me about one time his brother had to get serious. “Somebody in the house stole my Martin 000-18. It was a beautiful pre-war guitar. We suspected a guy on the third floor had grabbed it and sold it to buy drugs. 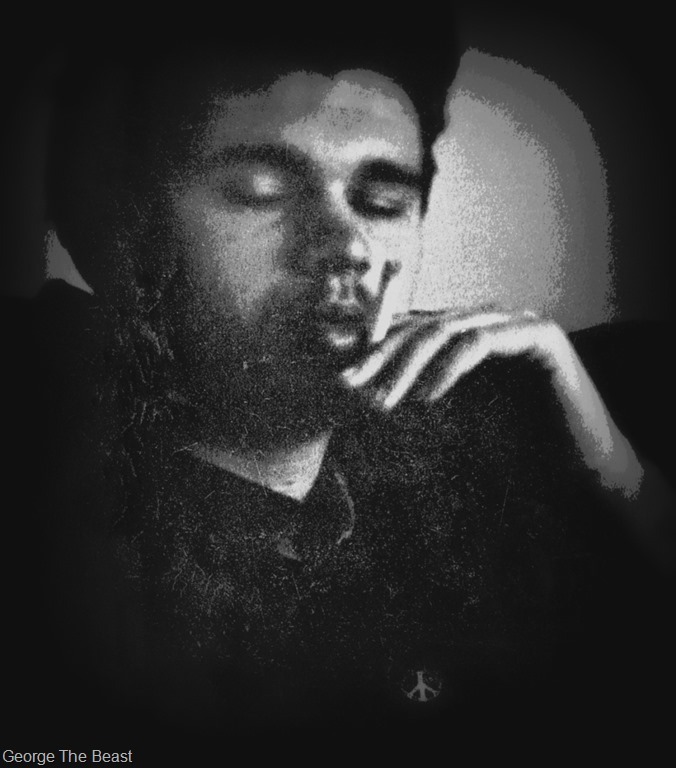 He was a deadbeat, hadn’t paid his rent in months, was stoned all the time, and, small problem, he carried a knife. Rodney Waiting By The Door. 1090 Page Street. 1965. 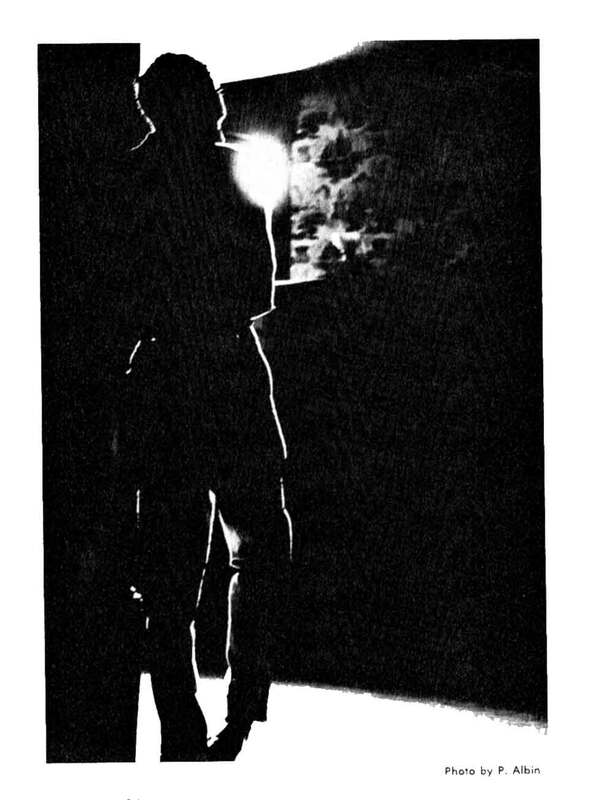 One night in, I guess, early ’65, I walked over to 1090 to see what Rodney was up to. I found him in the big front room with Skip Henderson, a folksinger I knew slightly from State, and three or four other folksingers I’d seen around. They were practicing to sound just like the Limelighters, an energetic and hugely successful folk group of the day. Rodney was tired of being a scruffy old-timey musician. He and Skip and the rest of the hopefuls were jumping on the bandwagon to fame and fortune. They called themselves the New Tradition Singers. Rodney was singing in his usual thin, nasally voice and playing fiddle and banjo. Actually, I despised the Limelighters – they sounded like a group you might hear at a Barry Goldwater rally — but I admired the New Tradition Singers’ dead-on commercial instincts. Why not cash in? What could go wrong? And tonight they were extra excited. Somehow they had scored a demo tape of Bob Dylan doing his new song Quinn the Eskimo. Bobby had decided not to record it. It was being shopped around to other groups. Could they do something with it? They sniffed it long. A successful Bob Dylan cover would be a feather in their cap right at the beginning of their career. Look what it had done for The Turtles! You couldn’t get bigger than The Turtles! But, darn it, the song just wasn’t “Drill Ye Terriers, Drill!” (This was a popular folk song about fierce fox terriers. The lead fox terrier is urging the others to dig their way out of a dog show.) It wasn’t “This Land Is Your Land'” either. Or any of the other crowd-pleasers the Limelighters were known for. It was Quinn The Eskimo! It was about an Eskimo who would make you jump for joy when he got here. No, this won’t play well in Peoria. They wouldn’t know what we were singing about. Neither do we. Sorry. We pass. It was a group decision and normally Rodney would have been unhappy, because he liked the song. But at the moment there was something even more exciting in hand. They had suddenly obtained an agent. Somehow the agent had heard their demo tape and decided they really were going to be the next Limelighters. And amazingly, she was able to book these unknowns onto baritone John Raitt’s upcoming concert tour, purely on the basis of their demo tape. This agent must be good! They got down to serious rehearsing. They not only practiced the songs, they practiced their banter, they practiced jokes and they practiced comments to the ‘critics’ in the audience. Meanwhile, jamming in the ballroom was becoming a regular ad hoc activity. 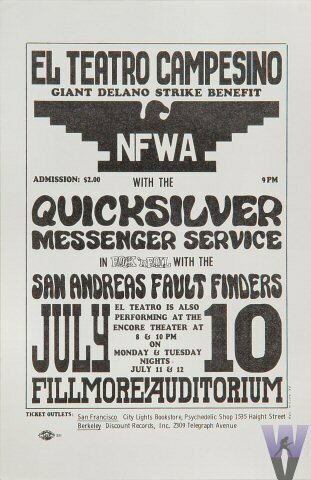 For one thing a pretty good jug band named the San Andreas Faultfinders was practicing there and they attracted other players, including Pigpen McKernan. Loren decided to hold a premiere screening of his new experimental film in the ballroom. He invited a lot of people besides the 1090 regulars, and it was going to be a big night. Jack Welpott, a well-known photographer from the SF State Art faculty said he’d come, and – very cool – artist and fellow filmmaker Bruce Conner said he was coming. Conner’s star was high at the moment, so Loren and Peter – who knew who he was – were pretty jazzed. Loren spent the afternoon setting up his 8mm projector and getting the details right. It would be interesting to see the film, if it still exists, because in a way it was the seed for Big Brother and the Holding Company. Loren had cut together an ancient short subject (He described it to me as about ‘a chimp who saves a child from drowning’.) with footage from a nudie film he’d bought in one of those sleaze stores on Market Street. I think you had to be there. Peter suggested it would be cool if the film had live musical accompaniment. That sounded like a good idea to Loren. Chuck Jones, a surfing style drummer who lived at 1090, already had his drums set up, so Peter grabbed his new electric bass, then called his friend Sam Andrew, who lived a block away. When Sam got there, they both plugged into brother Rodney’s Gibson amplifier, the only one in the house, and fiddled around with Chuck for a while. Then they were ready. That night Chuck became the so far unnamed Big Brother’s first drummer. And it was the earliest rumbling of the partnership between Peter and Sam, which has endured, by my count, some forty-four years. They still tour today. 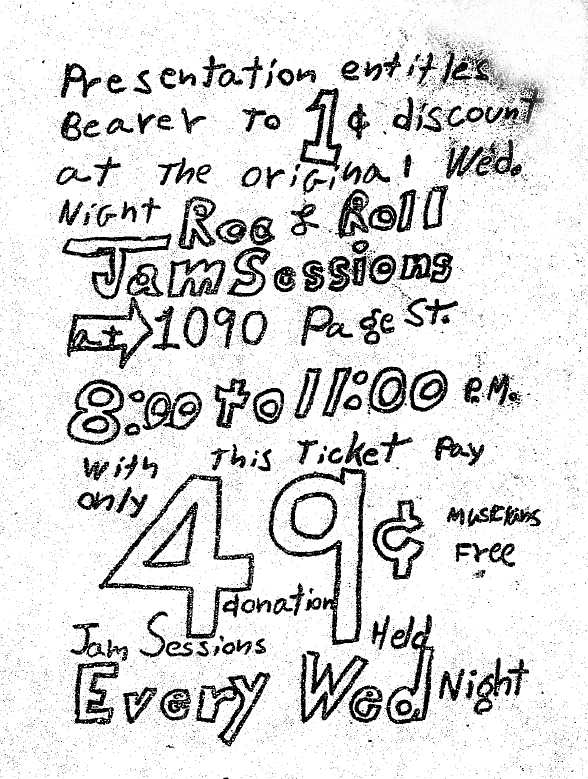 According to Chet Helms, a hippie named Chris Newton had the idea to formalize the jams, and make them a weekly event. The Wednesday Night Jam Sessions. Charge a quarter. (Jones said, “How ’bout fifty cents?”) Put up signs. Invite everybody. Chris was good at ideas but, typical hippie, terrible at follow-through – so Chet ran with it. Rodney drew up the 49-cent discount coupon on a ditto master. Chet ran it off, and handed it out down Haight Street. Sam, Peter and Chuck became the house band. If you were a singer or a harp player, they would back you up. If you had your own guitar, you could plug into their amplifier. If you were a singer, you’d better be a shouter, because no one owned a microphone, and if you brought your own, you’d have to plug it into the same amplifier the guitar and the bass were already overdriving. 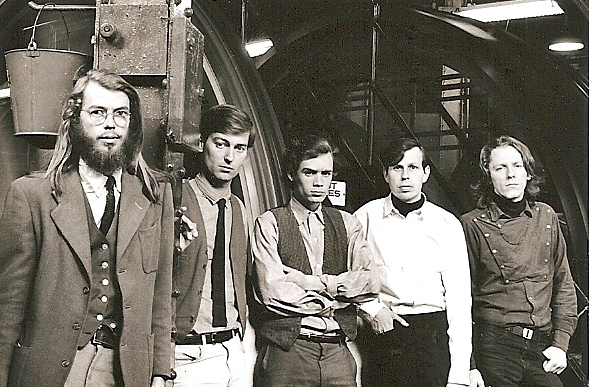 In the summer of 1965 the Warlocks (soon to be Grateful Dead) were based in Palo Alto. The Jefferson Airplane was already playing every night at their house club, The Matrix. The Charlatans had gone to Virginia City for the summer. But the other musicians who would create the anti-commercial, improvisatory San Francisco Sound were showing up at the 1090 Page Jam Sessions. The music got so hot in fact that Chet risked raising admission to seventy-five cents. And the hippies kept coming. It was fun, but it was short. Teenagers from the Avenues crashed the parties, they got rowdy, they tried to start fights with the longhairs, they broke beer bottles on the sidewalk. It got to be a drag. Chet began looking around for the next big thing. Chuck, Peter and Sam decided to form a real band. Chet Helms was looking for the next big thing and, he decided, it just might be managing this exciting new rock band, soon to change their name to Big Brother And The Holding Company. Chet brought a couple of interesting contacts along with him. First, he knew a very interesting, self-taught, and slightly bizarre lead guitar player named Jim Gurley. Local legend had it Gurley had taught himself by locking himself into his room and learning John Coltrane solos off a record. He sounded like he had, anyway. Second, Chet knew Bill Graham, and Graham agreed to help them buy equipment. He cosigned the loan. Rehearsal with the two Danelectros was now twice as loud as before. After a few weeks of this, Rodney had enough. “One night we were so loud Rodney got pissed off,” Peter said. “He came down to the ballroom in his shorts and a tank top with a Superman logo on the front. He was waving a pistol. Had all this time Rodney (gasp) secretly disliked screechy rock music played over cheap amplifiers by guys who were still figuring out how to do it? Peter Kraemer of another early San Francisco Sound band, The Sopwith Camel, had this to say. 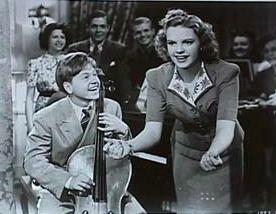 “He (Rodney) was one of our earliest players, I think he was playing bass but we had dreams of him playing hot viola. He was a wonderful guy and great player, and had either fear or loathing (or both) of rock and roll. He also said he had an ulcer and wouldn’t consider going “on the road”. We of course being younger and brash were raring to go.” So they ended up with a young Londoner named Martin Beard on bass. And Rodney went back to playing folk music. Looking back on it now, it seems Rodney’s establishment of 1090 Page Street created a center of gravity for the underground that had been missing since they were priced out of North Beach years before, and re-established it in the Haight-Ashbury. Until then, the hippies had lived scattered across cheap neighborhoods of the city – the Fillmore, the Mission, Potrero Hill, Bernal Heights. But once 1090 was in place, the kids who would live out that foolish, divine vision a psychedelic Aquarian Age – and the music that went with it – began to congregate within walking distance of each other. Take The Pondering Pig for example. In the Fall of ’64 I was looking for a place to live. I dropped in to see Rodney. He told me 1090 was full at the moment, but he knew a guy named Allen Cohen who had a flat six or seven blocks further up Page Street. He thought Allen had a room available, try over there. Allen did, I moved in, and, I was ‘in’ in a much bigger way – as one of the first denizens of the burgeoning Haight-Ashbury, I would take part in its wondering adolescence, its creative full bloom, and its untimely demise. There’s a lot more to 1090 Page Street’s story, but I won’t tell it here. The house followed the arc of the neighborhood. It climbed higher and higher, but then, its descent was brutal. By the last days of the Summer of Love – only a few bricks in a vacant lot showed where the famous building had stood. Graphics credits: 1090 God’s Eye: Dennis Nolan; El Teatro Campesino poster: Wolfgang’s Vault; jam session ticket: Pigfiles; Photo Rodney in the doorway Peter Albin; Photo pre-Janis Big Brother and the Holding Company © 2008 Michael Rachoff; photo 1090 Page St. SF Pub Library.